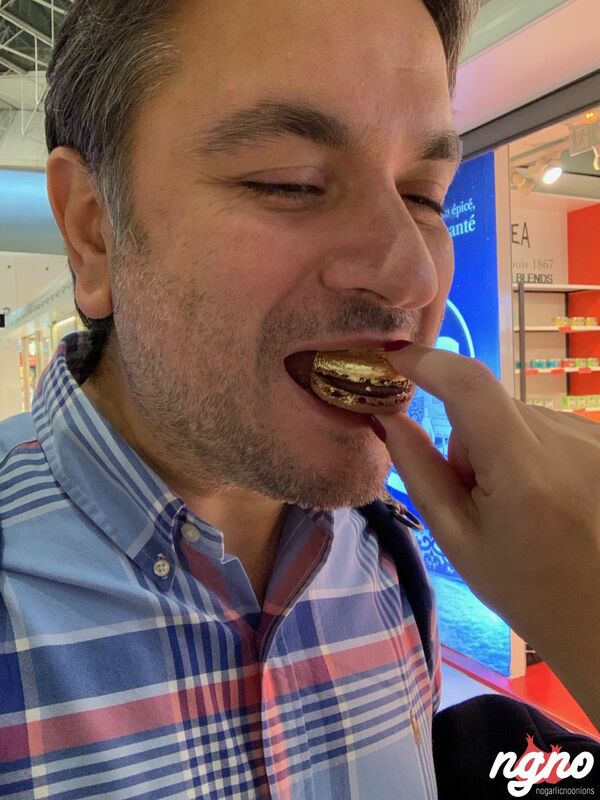 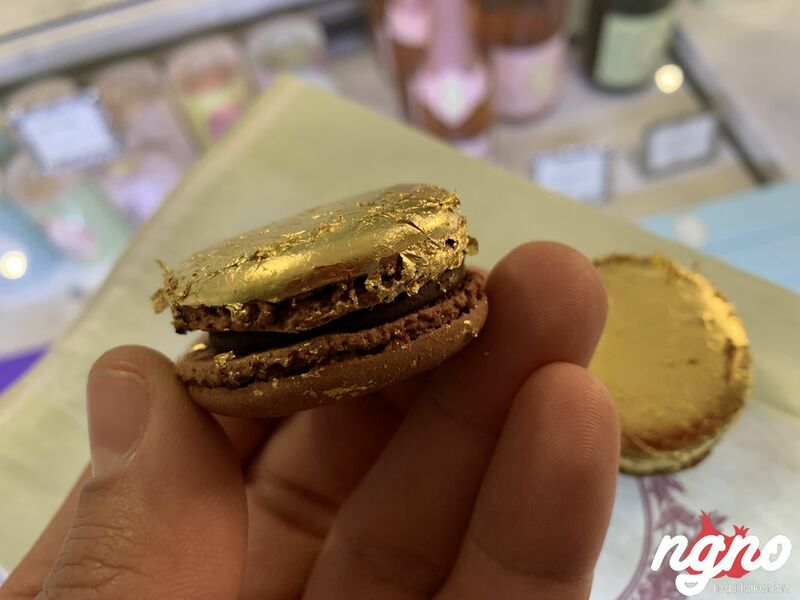 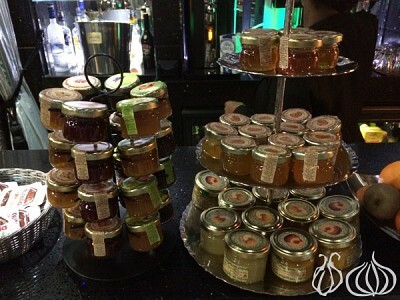 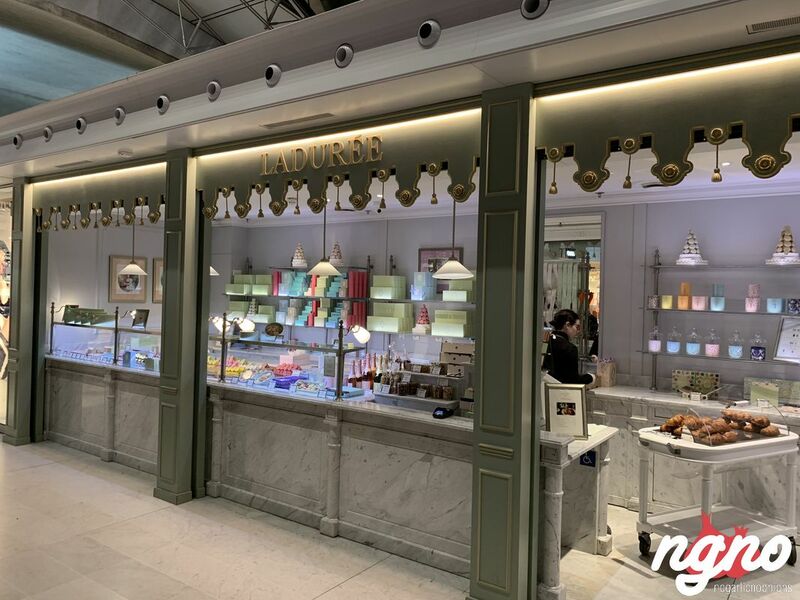 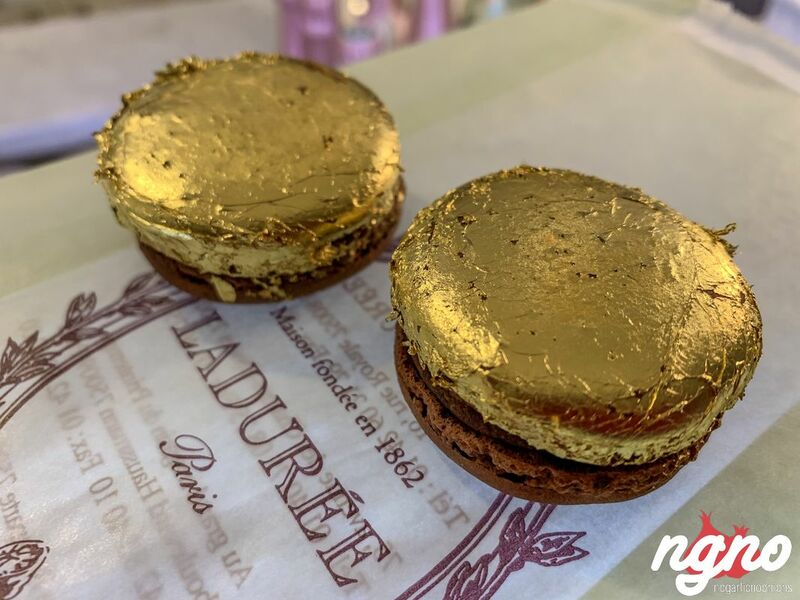 Spotted at the airport in Paris, I had the chance to taste Laduree's, special edition Gold Macarons. 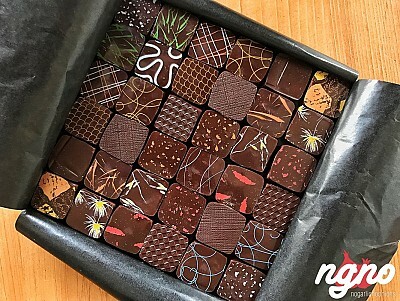 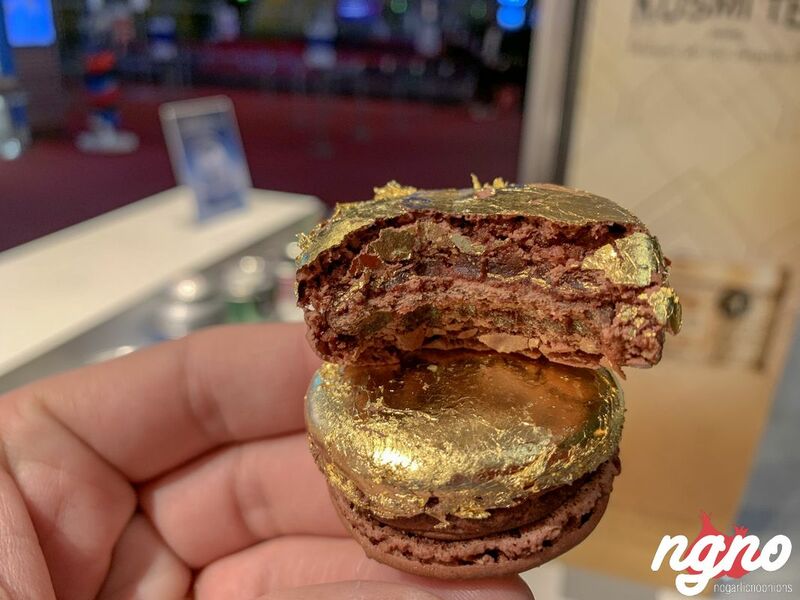 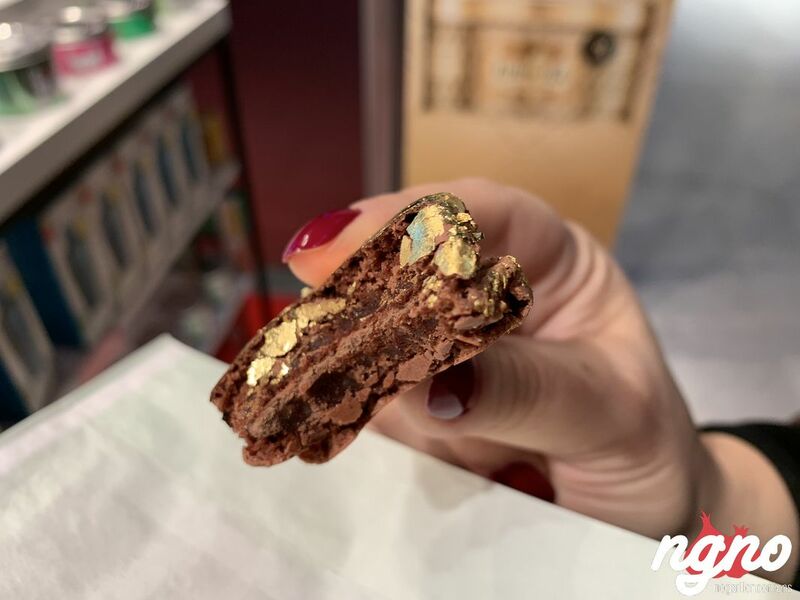 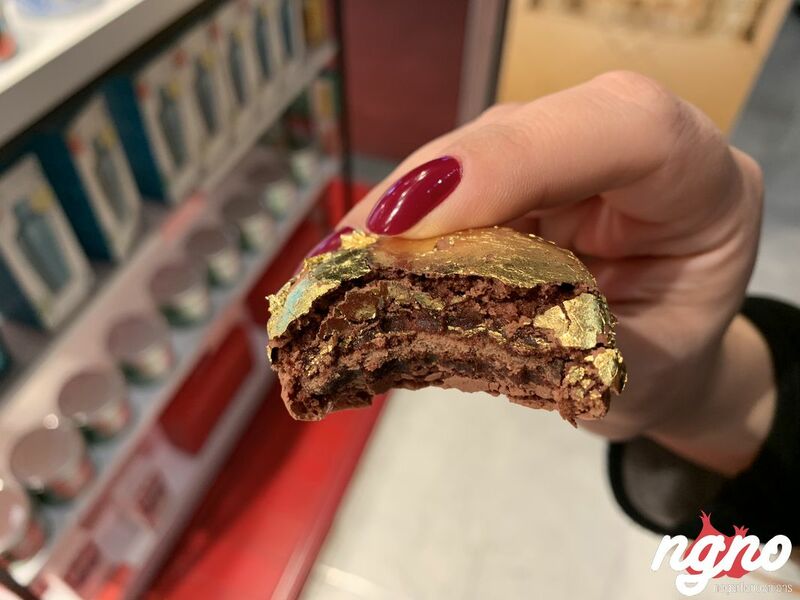 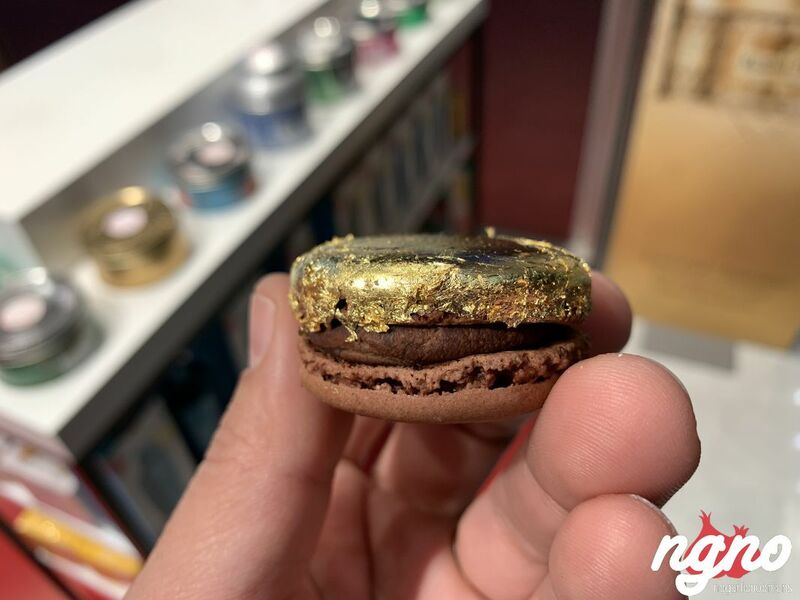 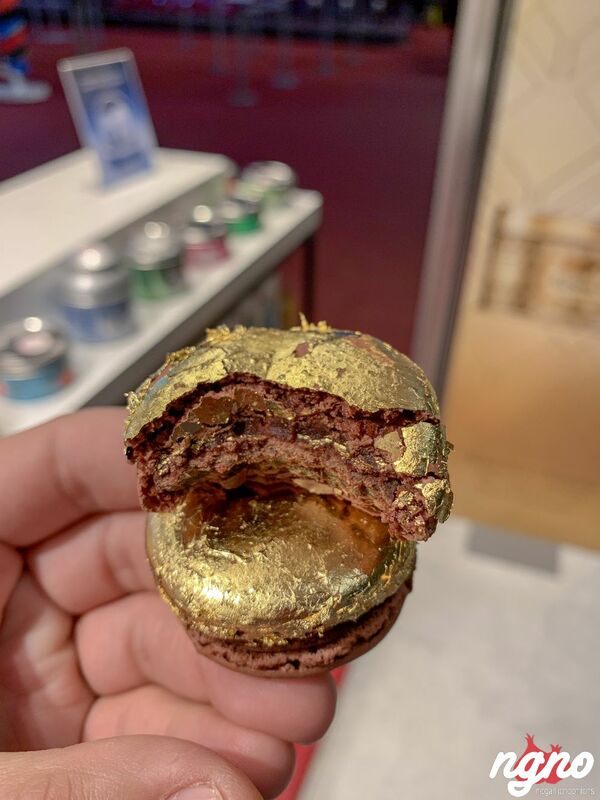 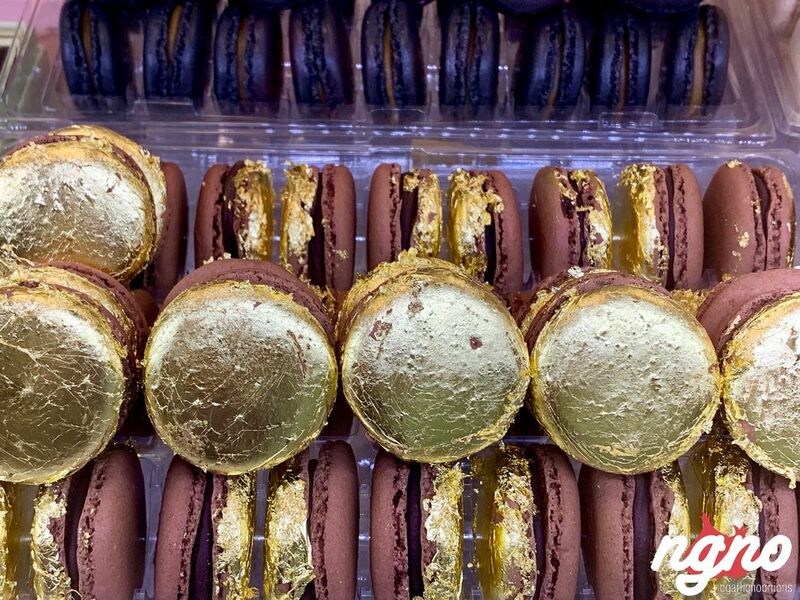 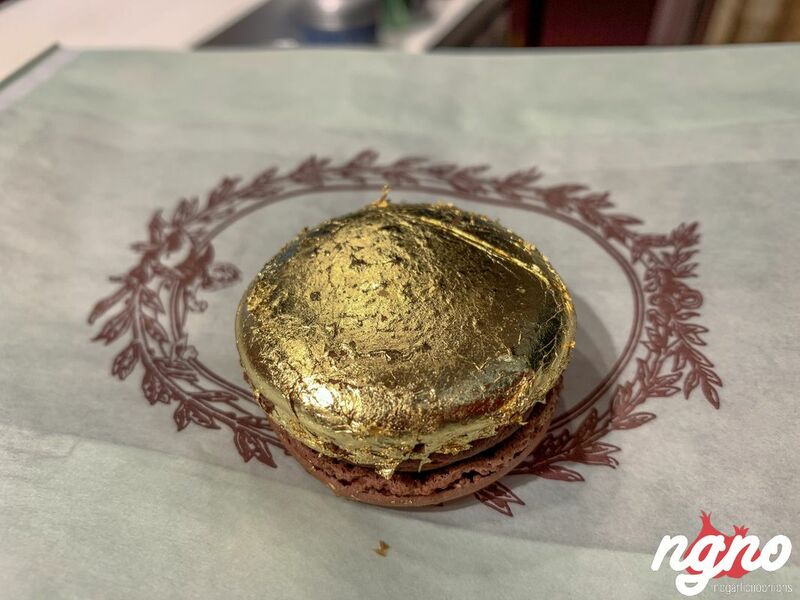 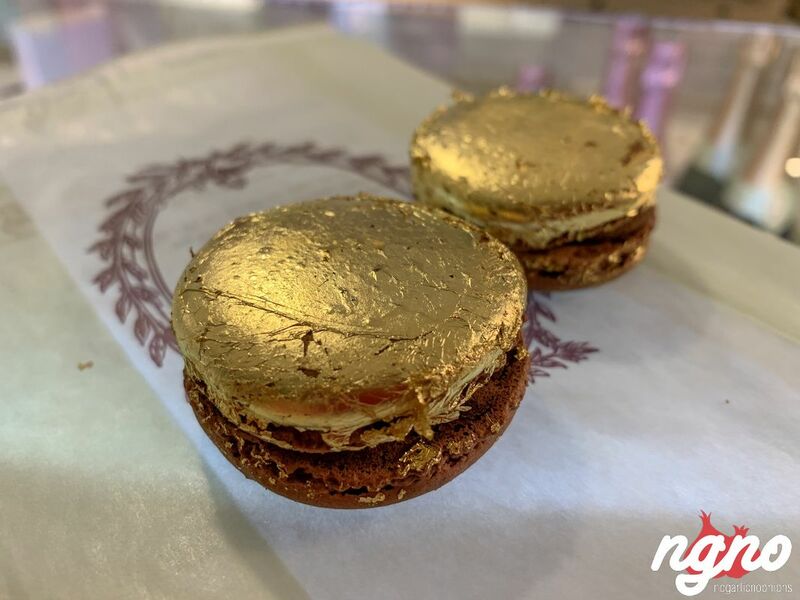 Linda Fargo — the director of women’s fashion at Bergdorf Goodman and a fan of Ladurée macarons — has collaborated with the confectioner to create an exclusive holiday treat: chocolate macarons filled with salted caramel and brushed with gold leaf. 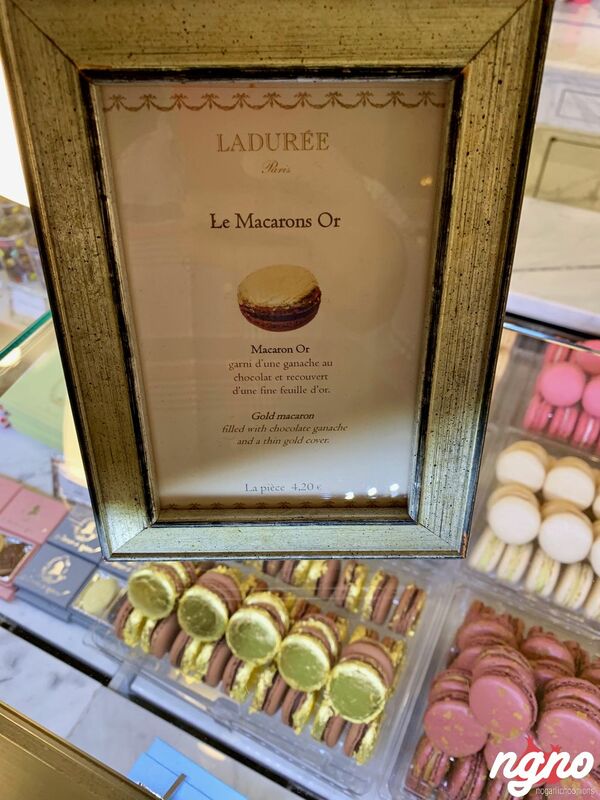 Give a box of six, or order the pyramid for a festive, edible centerpiece: Ladurée gilded chocolate-caramel macarons, $35 for six, $252 for a pyramid of 40.